The ability to analyze a situation or problem is an important skill and its demand will only grow as we continue to adopt technology throughout our lives. As a parent or a teacher, our role is to ask our children open-ended questions that guide the thinking process. This allows our kids to explore and expand their curiosity. How Can You Develop Critical Thinking Skills in Your Children? The most interesting way to improve your child’s critical thinking skill is to engage him/her in games. These games can help create critical thinkers, problem solvers and enable the next generation of innovators! Find the matching strips of same color pattern dots, either horizontally, vertically or diagonally. Kids have to match the patterns of color dots on the popsicle sticks to that on the egg carton. Color card stocks to make dots or you can get color dot stickers too. Cut color dots from the colored card stocks. Or use colored dot stickers. Carton as shown in the pictures. You can do it in any order. Then take a piece of popsicle stick and glued 3 colored dots on it according to the pattern on the egg carton. Make a bunch of colored sticks according to the patterns on the egg carton. 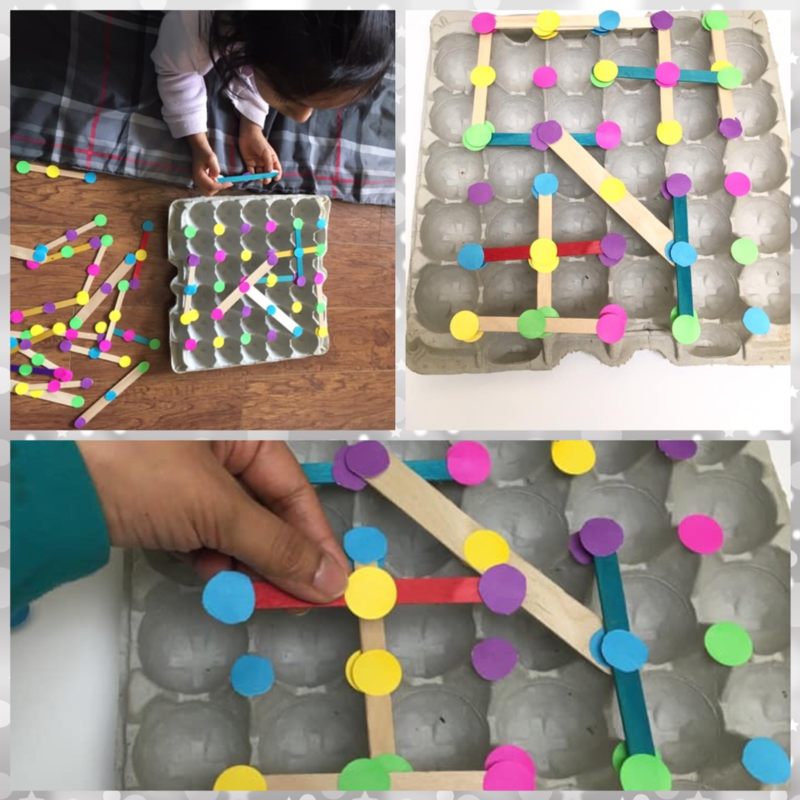 Make the dot patterns on the popsicle sticks carefully so that they match with the patterns on the egg carton either horizontally or vertically or diagonally. Give the popsicle sticks to your child and ask him/her to find out the exact same or the matching pattern on the egg carton. Ask him to look for a match carefully. He/she can look for the matching pattern either horizontally, vertically or diagonally. This game is fun, educational, and great for abstract thinking. Put the color foam blocks in the cupcake box in the same order as the activity cards illustrate. With each new card, players much analyze the color pattern and try to replicate it by arranging the foam blocks in the cupcake box. Make equal compartments on the index card as in the cupcake box. Then draw color (same as the foam blocks ) cubes on the compartments on the card. Make various patterns as per your wish. I made 20 different pattern cards. 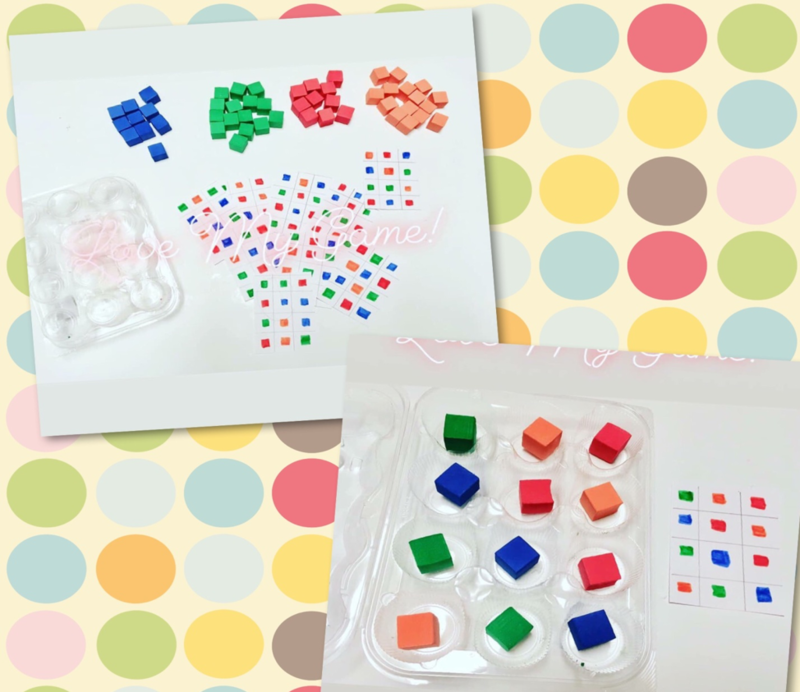 Give your child a pattern card and the foam blocks. Ask him/her to put the colored foam blocks in the cupcake box in same order by analyzing the card. This game fires up the analytical reasoning and problem solving skills in children . You can easily make this game at home. Analyze the activity card and follow the sequence of the arrows to reach the goal. Draw the exact pattern with color markers on the index cards. Then with a black marker draw arrows from one color block to another. Draw different direction arrows on each card. Give one card at a time to your child and ask him/her to analyze the card and follow the directions and reach the goal. This game helps children develop their sequencing skill. All these games can be easily made at home from very inexpensive materials with little commitment and patience. But if you don't have the time to make these game due to busy work schedules, just spending time together playing a board game that they enjoy will help boost their reasoning skills in a fun way. Almost any board game (make sure you choose one that is age-appropriate) enhances a child's critical thinking, problem solving, and communication skills. Note: With all children, it is important to take into consideration the child's interests, learning styles, and abilities to determine the best ways for them to learn. 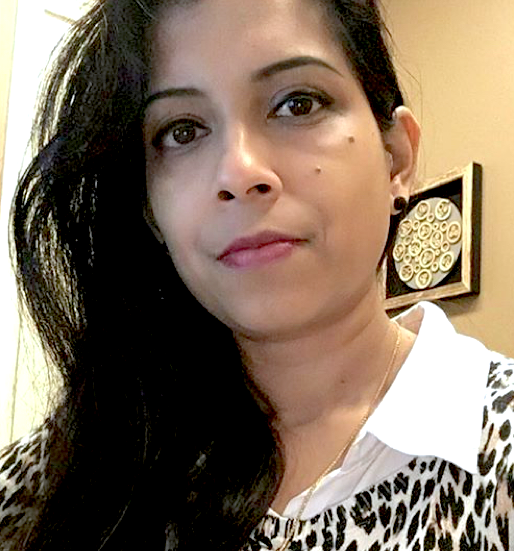 Nupur Biswal is a mom of two beautiful girls, a wife, and a self proclaimed super nerd. With a background in Electronics and Telecommunication Engineering and computer science, she is passionate about STEM education among youth. She promotes STEM education by organizing STEM camps at her local library during holidays and also conducts after school STEM clubs. 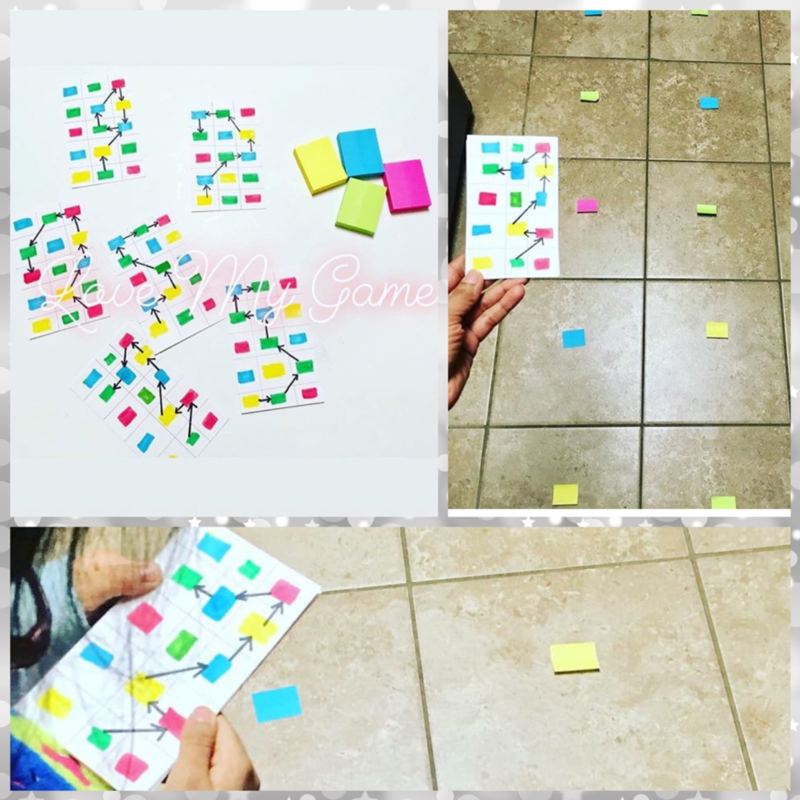 You can follow her on Instagram and her personal blogging Facebook page “Love My Game,” where she regularly shares her children’s STEM activities with other fellow parents and teachers.